As digital design and drawing tools have become more sophisticated in recent years, however, it’s clear not only that the art of hand sketching is alive and well, but also that technology is ushering in a revival of illustrating and is transforming the process of architectural drawing for the better. “What we’re seeing right now is a huge renaissance in terms of the generation who is already out in offices, and they’re saying to us, ‘We are so happy to be drawing again,’” explained Anna Kenoff, co-founder of creative app development company, Morpholio. 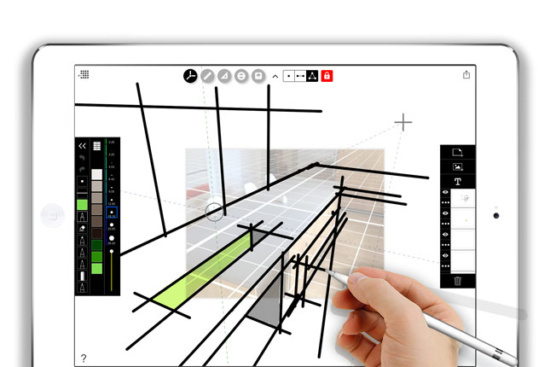 Recognizing a need in the market for architectural tools that go beyond simply doodling on a tablet, Kenoff and company launched Morpholio Trace, a drawing app created specifically for architects and designers that infuses “digital magic” into the analog tools of trace paper, technical pens, rulers, triangles, and stencils. “Our app puts scale drawing at the center of the experience, letting designers work intuitively with an iPad Pro and their hands while not losing any accuracy in the process” said Kenoff. With Trace, architects and designers can sketch over computer-generated models, mark up PDF’s of construction drawings, or sketch ideas as they evolve from concept to reality. Additionally, Morpholio added augmented reality (AR) to Trace with the recent launch of its AR Perspective Finder feature. 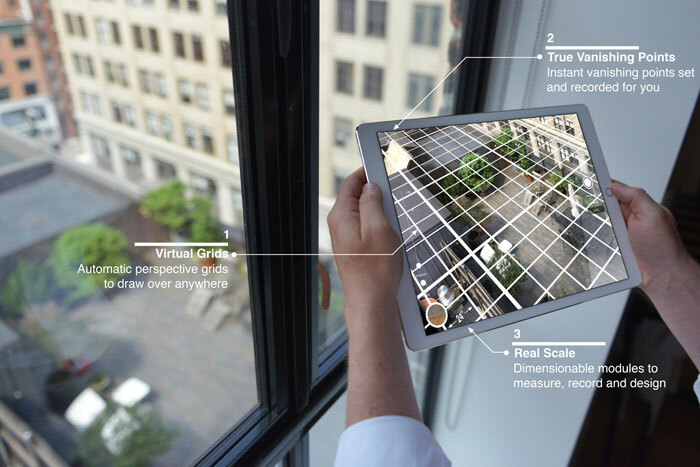 Powered by the iPad and Apple’s ARKit to read and interpret the surrounding environment, this new drawing tool allows users to uncover virtual perspective girds to scale, anywhere. By launching the camera from within the Trace app’s ‘Projects’ area, architects can point the device toward a surface, which the iPad will automatically register and render an overlaying grid. The center point is set by tapping the screen at the desired location and can be rotated with the swipe of a finger. The scaled grid can then be presented for a walk through or captured by the app to automatically set up a drawing with the background, grid, and vanishing points ready to sketch over—simplifying the process of creating perspective drawings when compared to traditional hand-drawing methods. AR Trace Turns Your iPad into a Virtual Perspective Finder to Help You Draw Like a Pro from Morpholio on Vimeo.